Booster seats are mandatory when a toddler or child has outgrown the traditional car seat but is too small to use the seat belt alone. 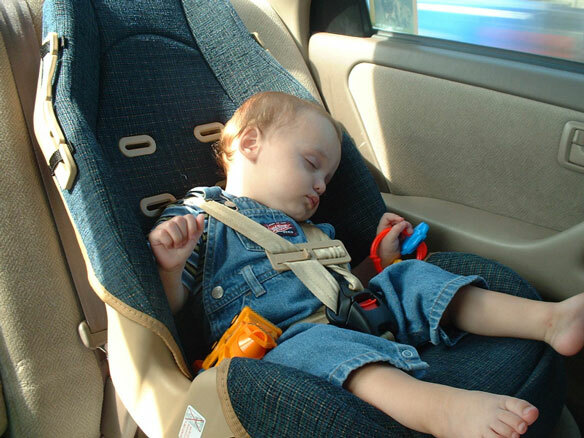 This photo shows a baby boy sleeping in a blue seat featuring a three-point harness and additional slots for strap placement, providing plenty of room to grow! This booster seat may actually be too large to safely accommodate this little child.